In ancient times, aloe has been regarded as a natural skin care and dermatology treasure. Research indicates that aloe is rich in polysaccharides, proteins, amino acids, vitamins and active enzymes. 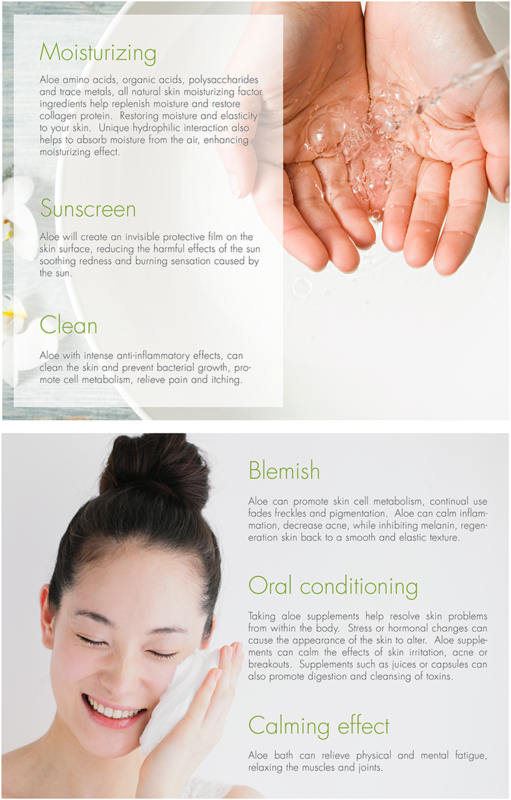 The various properties of aloe nourish and protect the skin. Aloe has also been proven to provide anti-inflammatory effects on the skin.